Bridger Buckley, WSU senior and former Cougar football player, competes for the championship in NBC's “Titan Games,” Thursday, Feb. 28. Make plans to watch. WSU senior Bridger Buckley has qualified to compete in the championship round of “The Titan Games,” 8 p.m. Thursday, Feb. 28, on NBC. The network series kicked‑off on Jan. 3 with a total of 64 contestants, 32 women and 32 men, competing every week to eventually be named the top titan. Buckley is among four male finalists to advance to the final round. The top male and female each take home a $100,000 prize. Buckley said he is really excited he made it far in the competition and appreciates having so many people in the WSU community supporting him. “People have come up to me in the gym and around campus and it has been great meeting people that I wouldn’t have otherwise,” he said. “The Titan Games” bills itself as a show that offers everyday people a once-in-a-lifetime opportunity to compete in epic head-to-head challenges designed to test the mind, body and heart. The creator and host of the show is Dwayne “The Rock” Johnson, someone Buckley has always admired. 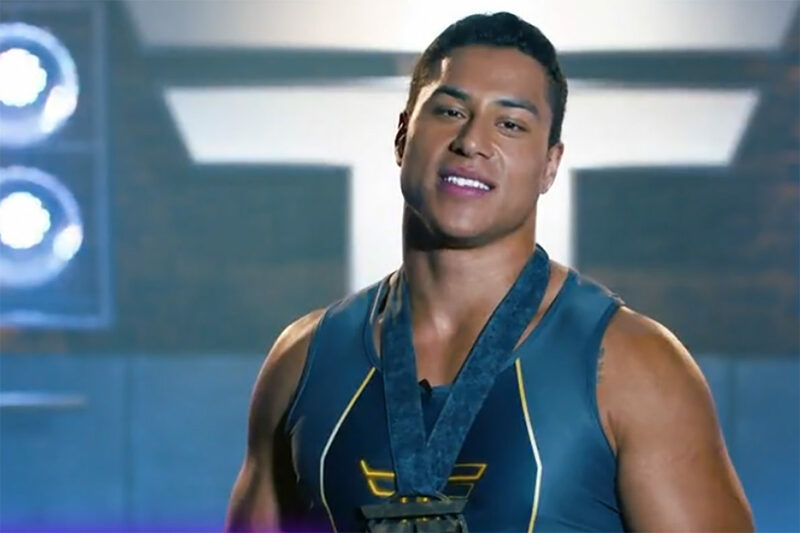 Being on “The Titan Games” has been a chance for him to not only show his family, but the entire nation, how far he has come since his struggles with self‑esteem during childhood, and a bicycle accident that fractured his neck while attending WSU. Buckley applied for the show in April after noticing a social media post Johnson made. In July, show producers flew him to California to participate in combine testing. After making the final cut, he spent most of the month of September taping the show in San Gabriel, Calif.
People looking for a place to gather to cheer on Buckley can watch Thursday’s episode in the lounges of the Student Recreation Center and the Chinook, as well as in the in the Compton Union Building (CUB) Lair. Read more about Buckley’s life challenges and how he overcame them to become one of the show’s top competitors.